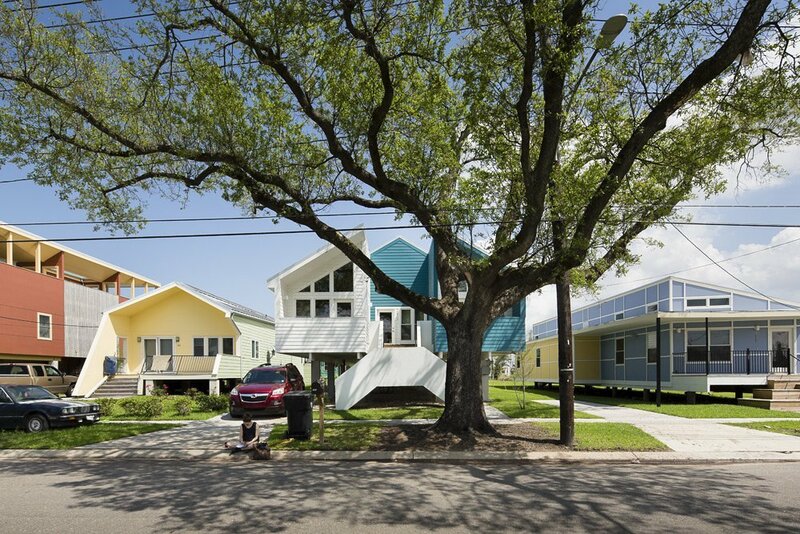 Since launching in 2007, the foundation has built more than 100 affordable homes in New Orleans’ Lower Ninth Ward, the area most devastated by flooding when the levees broke. The initiative attracted some of the biggest names in architecture, including Pritzker Prize–winners Frank Gehry, Shigeru Ban, Thom Mayne, and Alejandro Aravena, and was lauded in the press for its commitment to building green. However, within a few short years, many of the homes began experiencing serious structural issues as well as mechanical system failures, roof leaks, and black mold growth. According to the lawsuit, Make It Right was made aware of these defects by their own engineers but failed to notify homeowners, who would have been protected by the state’s New Home Warranty Act. The suit goes on to accuse the foundation of fraud, contract breaches, and unfair trade practices. The litigation marks the latest in a series of troubling headlines for the celebrity-helmed nonprofit. In 2015, NOLA reported that Make It Right was forced to renovate 39 decaying decks at an average cost of $12,000 each, due to its use of TimberSIL, a purportedly long-lasting wood product that rotted in the subtropical climate. Earlier this year, the KieranTimberlake-designed house at 5012 North Derbigny Street became the first Make It Right home to be demolished, just seven years after being completed, following a prolonged period of vacancy, code violations, and half-finished roof repairs.